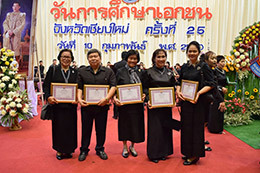 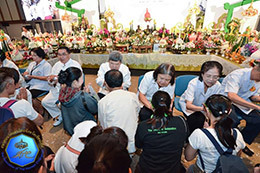 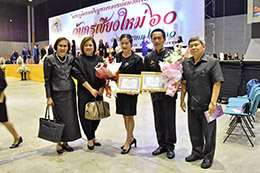 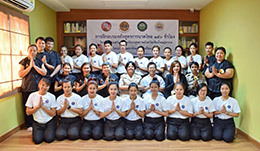 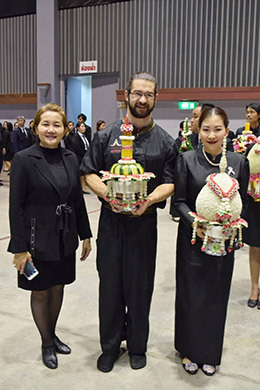 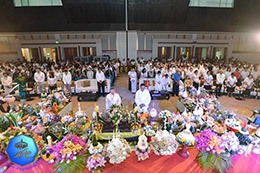 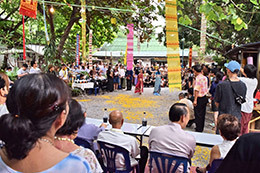 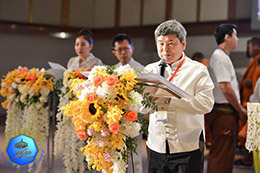 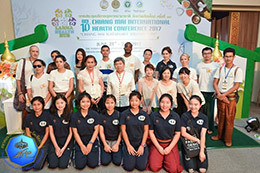 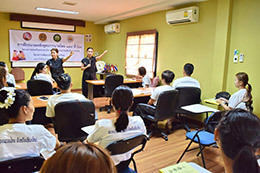 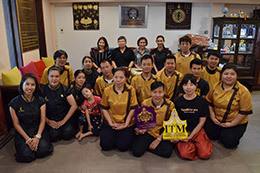 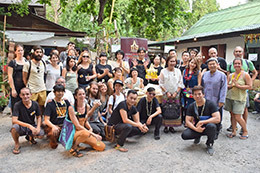 Annual Wai Khru ceremony (Paying Respects) to your Thai Massage and Thai traditional medicine teachers organised by the Association of Thai Massage Chiang Mai at the Chiang Mai International Exhibition and Conference Centre. 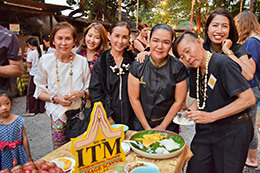 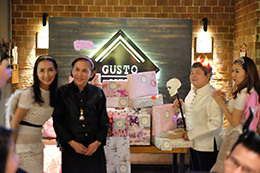 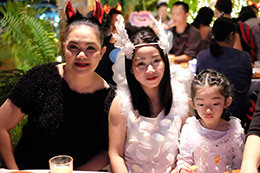 ITM Massage School & Spa Mantra' s 'Angels & Demons staff party 2017' @ Gusto Site restaurant. 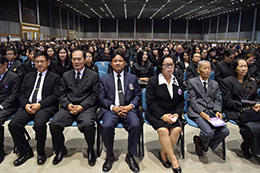 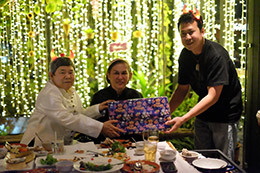 16th of January is the Teacher's Day in Thailand. 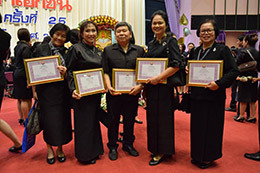 Congratulations to all the great teachers for the success on your career. 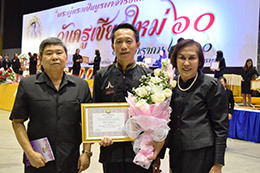 Mr.Prasit Sriwilai (Teacher BOY) from ITM School received "Excellent Teacher Award 2017". 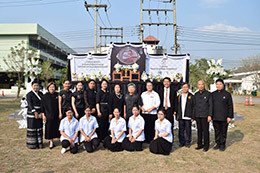 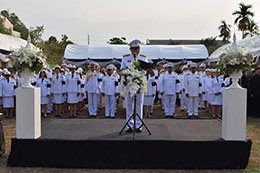 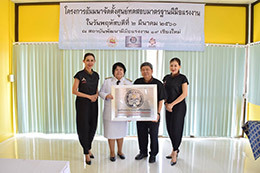 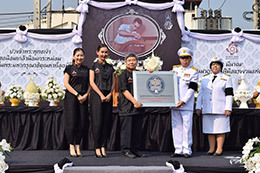 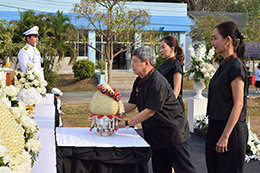 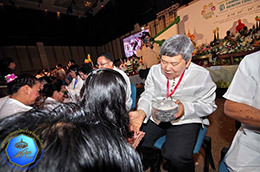 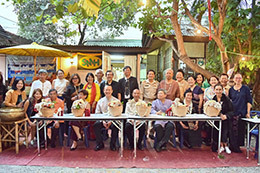 It was a real honor of ITM School to represent the Association of Private Schools in Chiang Mai (Non-formal school) to present meaningful flowers and items placed on pedestal trays as a symbol of respect to teachers. 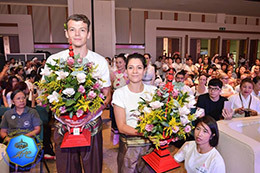 Teacher Kate Setthakorn and the CAPT student, Eric Turowski were assigned on this duty.